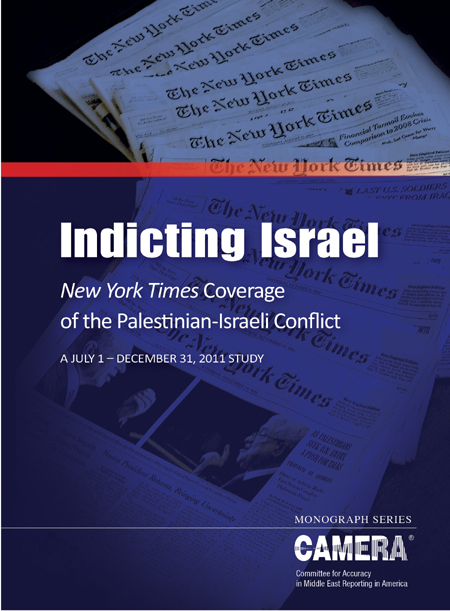 A new monograph about CAMERA’s six-month study of The New York Times details how the newspaper treats Israel with a harsher standard, omits context, and shows a clear preference for the Palestinian narrative. You can now view a pdf of the entire monograph by clicking here. A hard copy of the booklet is still available for purchase on Amazon.